We have yearly cycles of sales for certain products in our store, or we get asked about the same products every time there is a graduation from a Police Academy. 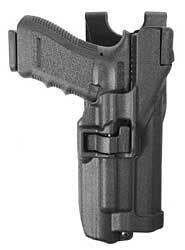 There is a mad rush of people graduating that need all of the basics, they may not have their duty gear yet but they know they need an off duty holster which usually is one of the following, any Glock 9mm, Glock 45 or Sig 229 or Smith & Wesson M&P 9mm or 40 cal. Those seem to be the most common firearm holsters every year because that’s what most of their employers are issuing. “I just need a retention holster” or a “Level II” they say. I’m all about letting the customer choose what they want, but if there is any hint of them being a Novice, I push them away from the Blackhawk Serpa Holsters, I personally think the Safariland ALS is a better starting point although the holsters are very heavy, One other holster we have considered stocking are the 5.11 Thumbdrive holsters. Using your thumb to release your firearm is a much safer approach than using your index finger. We also noticed this year that Elite Survival Systems is releasing a Thumbdrive holsters and we will do a thorough comparison between the two in the future. Definitely consider these 3 for Level II retention, Safariland ALS, Blackhawk Serpa, and the 5.11 Thumbdrive holsters. Bladetech worked with for their level II and it seems to be a very well accepted holster. We can’t accommodate everyone in this industry because the tactical world is much like the restaurant business. What do you want for dinner? Are you for Italian Food, Seafood, going away camping? There are a lot of advantages with Kydex holsters but we’ve seen so many of them break, that leather still seems to have an edge for longevity, even the cost of various types of leather holsters can vary in quality and features. I’m still old school with shoulder holsters, especially when I’m toting a large frame revolver or semi-auto handgun. The Galco Miami Classics are still very popular with detectives but there are plenty of people buying smaller “off duty” handguns and recently many of our Law Enforcement are looking for Diamondback .380 holsters and Glock 42 holsters. It always takes awhile for the holster market to catch up to the sales of new firearms but if it’s a good firearm, someone is going to make a holster for it. If you are looking for leather holsters, we often point people towards Desantis Holsters, Galco Holsters and Don Hume holsters. Each of these holsters has different qualities and styles and the vary from expensive to inexpensive depending on the one you want. 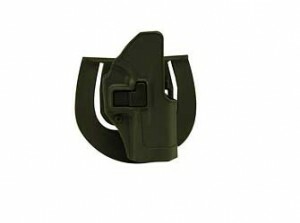 If you are looking for inside the waistband gun holsters there nylon holsters like the Elite Survival Systems belt clip holsters which are very universal and fit a lot of firearms and are also ambidextrous. The Desantis Insider is pretty popular because they are a little over $20 but leather sometimes has its drawbacks in very hot weather. The new rave seems to be tuckable holsters and Galco Holsters has a pretty big selling rate for the Smith & Wesson bodyguard, check out all of the products we sell and if you don’t see what you are looking for feel free to ask. That’s my short answer on the Blackhawk retention holsters if you wanted an opinion. I’m not a big fan of taking novice gun owners or new recruits with a holster like this because I’ve seen it all on the firing line. The NRA has really good standards for training new students, children and even adults. I have rarely seen a new handgun shooter start off shooting on a table but I’ve gone back to that when watching new people walk up to a firing line and do the dumbest things. You can judge competency by someones education level nor the muscle mass. I’ve grown tired of being at public firing ranges whether indoors or on a State Game range and looking down the barrel of someone taking their girlfriend to the range or a newly hired Police Officer that was issued a sidearm but can’t handle the 45acp recoil. When my life is on the line which it is every time a gun is unholstered, I have my tolerance levels and keeping a controlled environment is my protocol. Once someone has been trained on using a firearm, adapting to a retention holster like the Blackhawk Serpa holsters is just learning another device. It’s a bad idea starting out with both and many, many departments hire not on experience, there are always new people learning to shoot and it’s very common to see firearms instructors put bans on this holster system when training new students or unknown discipline. 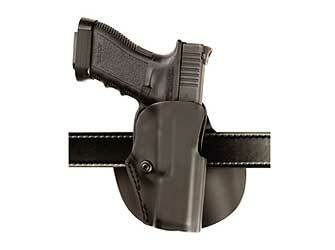 I do use these holsters as a paddle holster as well is the drop leg format and I do have respect for them. IDPA competition shooters, where to start? We’ll tell ya! Just had another local guy that was getting into shooting IDPA and was not sure where to start from. We have been getting a lot of customers walking in here trying to figure out what the best holster was for them to get and we always start with the Fobus gun holsters. 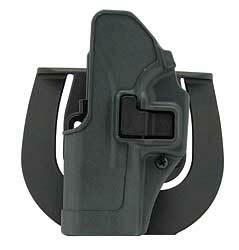 Paddle holsters are easy to get on and off and Fobus makes a good product for in the $25 price range. They are very good for open carry or winter carry. When it’s time to pick out magazine pouches, we offer nylon, open kydex mag pouches and the Blackhawk single and double stack magazine pouches. I personally like the Blackhawk open magazine pouches because they have a little bit of tention that keeps the magazines from rattling or coming out under certain levels of shaking. I always warn people about open magazine pouches because sometimes people do lose gear when moving. 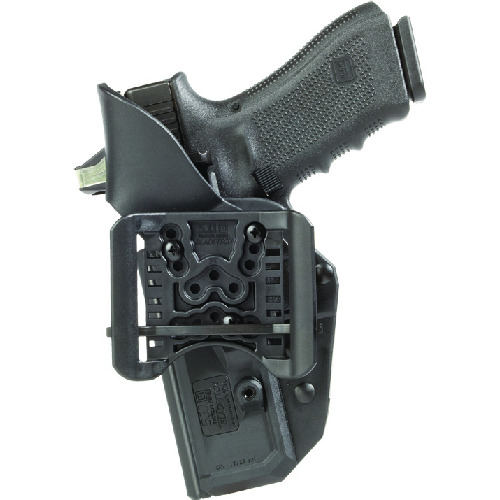 You definitely are not going to want any type of holster with level 2 retention but there is nothing wrong with the Fobus E2 type holsters because you can adjust the tension to your tolerance levels. The Blackhawk Serpa holsters are more popular with law enforcement and it’s not safe for them to carry guns out in the open without level 2. Lots of Police Officers get hurt on the job just from scuffles and it gives a little more comfort knowing that in a scuffle the gun is not going to come loose. Most of the differences between Safariland ALS and the Blackhawk Serpa is about preferences, but they are all very popular with Glock owners. Being in the E-commerce business and having customers walk in, in a retail situation, gives you a very good perspective on how people shop and what actually closes the transaction. People walk around and pick things up as they go around but until we explain to them that they can try things on, sometimes people go back and put it on the rack. We’ve had lots of returns and exchanges on gun cases recently because guys pick up a gun case they like and have no idea what the specs are on their handguns or rifles. It’s a very hard thing to do and normally our customers service Reps. are suppose to give our customers our return police because we know we will have a large volume of returns on certain categories of products. It basically goes with the tactical community. Tactical Nylon companies are dime a dozen and and sometimes it’s very hard for us to stick with one product line for everything. People want what people want and many of the times they know the Blackhawk Holsters just by knowing the Blackhawk Serpa or just the prominence of the Warrior wear has being a very successful product line. We were very disappointed in one of our vendors for not following through and bringing in more of their product lines. Blackhawk has a very nice rifle case and nylon tactical product line and many Glock owners are using their stuff. 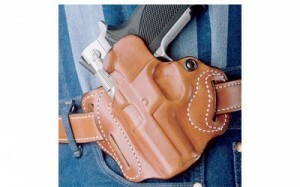 The stow-n-go holsters are probable the best selling CCW holsters for local police detectives. When it comes to duty or primarly weapons, stick with the norm! I have people walk in our tactical store all the time asking for some odd ball revolver holsters ect. I understand people being sentimental about carrying a gun that you had since 1973, but if you have a gun that has been out of production for 30+ years, don’t except to many holster companies to be making a holster for it. We direct people to a local custom kydex company because it’s too much work for us to call around to find a holster that once it comes in, it’s not what they wanted. Some leather holsters can cost up to $150 or maybe more depending on what it is you want, but that’s really a royal pain to deal with. We still get Police Chiefs that want to always try something new or in all honesty, you wonder if there are kick backs or something because they ended up with a Beretta PX4 instead of a Glock, M&P or Sig Sauer. 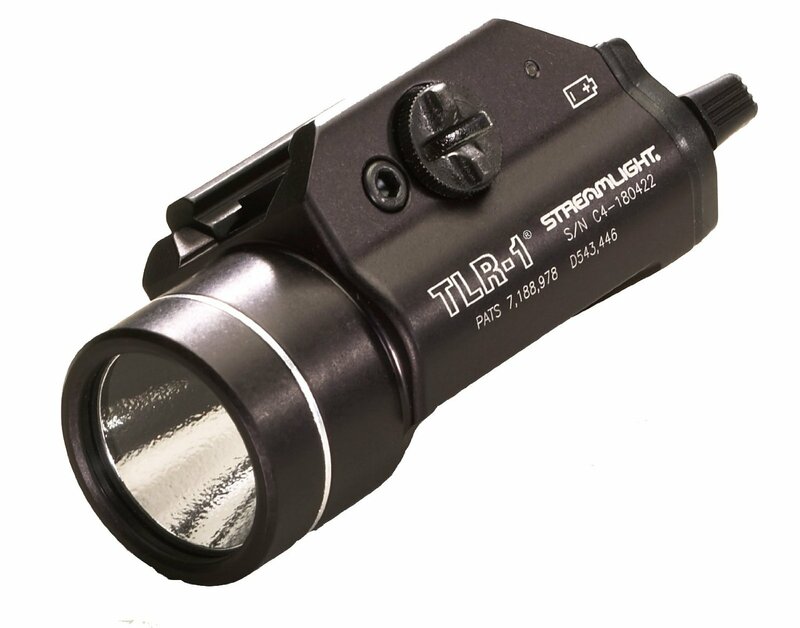 The next headache we deal with is the amount of research we need to do to get a holster for concealment that takes all of the tactical lights that are Police Officers are using on the streets. 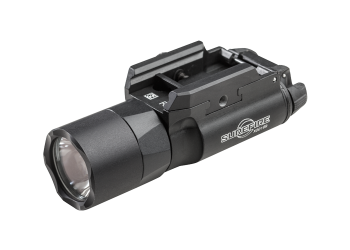 The Blackhawk Serpa holsters we have been selling are very popular but there are not a lot of options if you want a Level 3 or a TLR flashlight. So many people are putting lights on firearms, and that was not common at all a few years ago. It’s always good to have a light on your gun because identify a threat is probable the most important thing you can do and given the statistics for when crime happens (low light) you don’t want to be without one. You might want to think about a Glock. There are so many modes of carrying a firearm and not everyone is going to like carrying in a certain manor. We have guys that stop in here that can’t complain about the Blackhawk level 2 retention holsters and then there are others that hate them. I’ve watched all of the holster videos on Youtube that talk about all of the bad things that can happen when using your Glock 19, Glock 21 or Sig 229 handgun in one of them. The military has adopted these for their M9 pistols and some hate this because now and dirt can cause the holster to not function. Safariland holsters have a very popular history with Law Enforcement but some guys still don’t like that thumb/ flip carry style. Level 3 holsters are gaining ground and Safariland and Blackhawk have them. Blackhawk holsters on Sale for Glocks, Sigs, Beretta and Springfield XDs.Blackhawk holsters are used by Law Enforcement and Military. 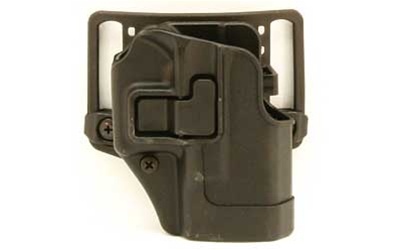 Blackhawk holsters are superbly designed for serious use. The Blackhawk locking system is the most secure way of avoiding a mishap while being out in the field. We’ve seen plenty of novice shooters on the range loose sidearms during training sessions. The Serpa locking system is easily by the index finger which is in the safe position and above the trigger while being released. We have found it to be superior to the older thumb break design. 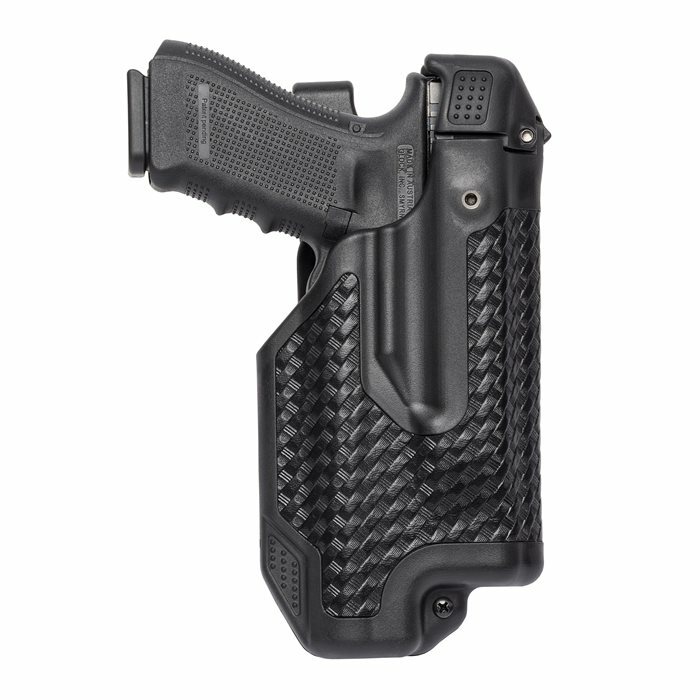 Blackhawk concealment holsters come in a matte or carbon fiber finish. All Blackhawk CQC holsters come in paddle or belt loop designs.